Director Shaz Bennett takes cinematic Indie Hip to a new level in the cleverly poignant coming of age drama Alaska is a Drag featuring a standout performance by Martin L. Washington Jr as Leo an aspiring drag queen who has ambitions of leaving isolated Alaska where he is packing and gutting fish for a living and looking after his sister Tristen played by Maya Washington. When the heavy drinking boxer Declan arrives in town and also starts working at the fish cannery, there is immediate attraction but as director Shaz Bennett explores so deftly that often affection between men can quickly evolve into violence. Leo ditches his drag ambitions which are clearly influenced by such pop diva’s as Grace Jones and Eartha Kitt and takes up the extremely masculine sport of boxing where he also fights his repressive former friend Kyle played by Christopher O’Shea. 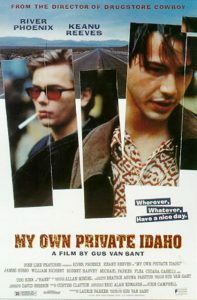 Heavily influenced by Gus Van Sant’s My Own Private Idaho, Alaska is a Drag was a treat to watch at the 39th Durban International Film Festival https://durbanfilmfest.co.za/ and would surely be a hit at many Queer film festivals both in South Africa and abroad. Audiences should watch out for Fashion Police’s Margaret Cho as the surly bar tender who decides to host a drag competition with hilarious results. For all its quirky characters and a beautifully poignant ending, Alaska is a Drag is a complex yet amusing film about beautiful people with dazzling dreams stuck in a small town community. Highly recommended viewing. Alaska is a Drag gets a film rating of 7 out of 10 and is original, hilarious and gorgeously shot. A cinematic treat.